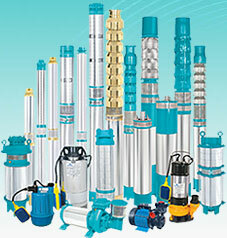 Submersible pump,borewell submerisble pump,Submersible Borehole pump,Manufacturer and exporter of submersible borehole Pumps, Submersible Borehole Pump, deep well submersible pump,bore well submersible pump, Pumps, V3 Submersible Pumps, V4 Submersible Pumps, Stainless Steel Submersible Pumps, V6 Submersible Pumps, V8 Submersible Pumps, Openwell Pump, Centrifugal Pump, Monoblock Pump, Domestic Pump in Gujarat, India. Borehole Submersible Pumps, Submersible Motor, Submersible Pump, Water Pump, Sewage Pump, deepwell submersible pump, bore hole submersible pump, open well pump, submersible pump, Radial Flow Submersible Pumps, Mixed Flow Submersible Pumps, etc. Kiwi Pumps provides ideal solution for all kind of pumping needs in agriculture & irrigation systems. Kiwi Pumps offers wide range of pumps for every domestic requirements, right from single tenaments to high-rise buildings. It was KIWI PUMPS to introduce V-3 & V-4 submersible pumps in Indian Market.